I originally published this story in the June 7, 2007 issue of the Politics In Minnesota newsletter. I’m posting it here because it has a lot of bearing on Internet marketing in general and on online reputation management in particular. 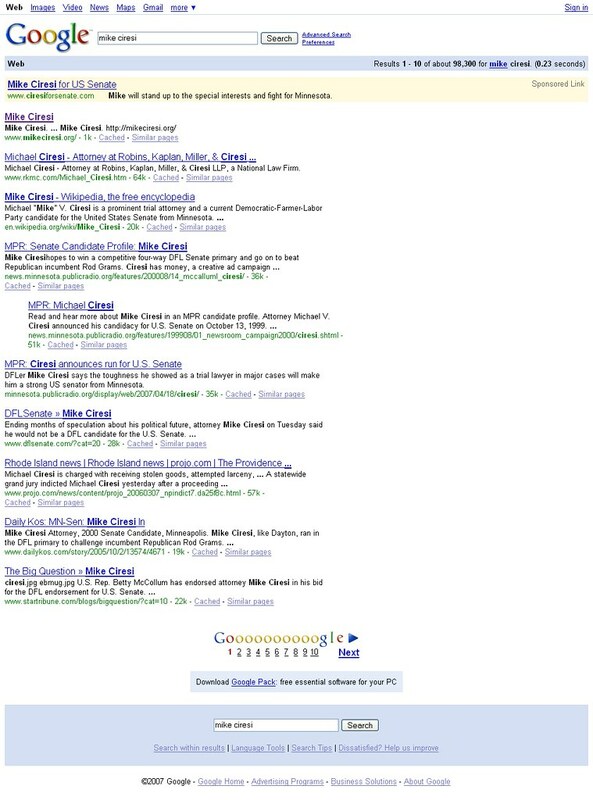 A Google search for the words "mike ciresi"
It’s the first link in the "natural" or non-advertising search results that’s interesting. 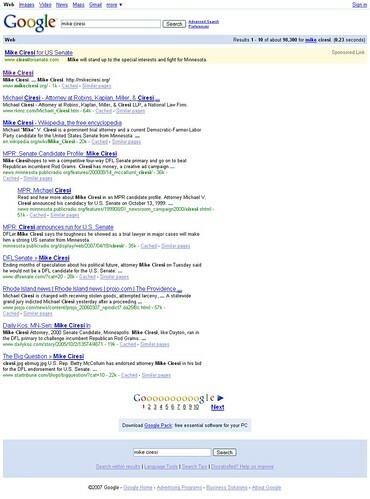 That link reads Mike Ciresi and points to mikeciresi.org. Clicking on that link takes you to what appears to be, and is–and isn’t–Ciresi’s Wikipedia entry. up in your address bar. The technique is called domain masking. 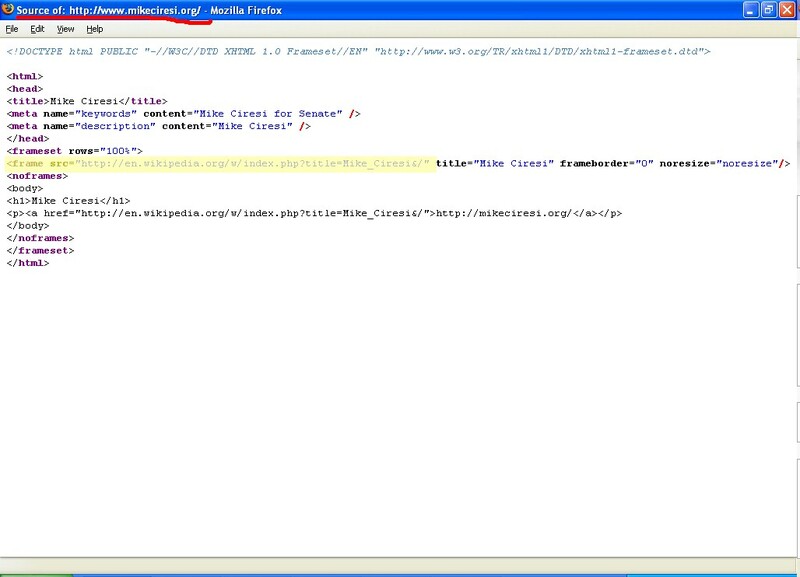 "view source" function when you’re at mikeciresi.org. 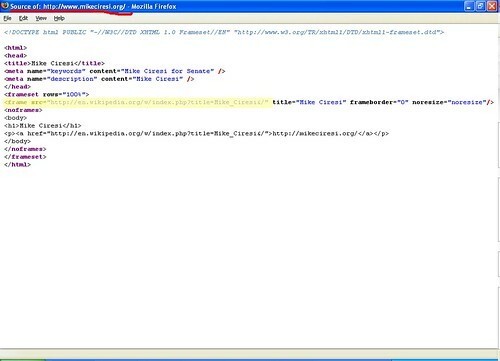 In effect, you never leave mikeciresi.org but can surf the Web within it. in your browser’s address bar. being done in this case. important consideration for Google rankings. that in turn explains why the campaign is buying ads on Google. 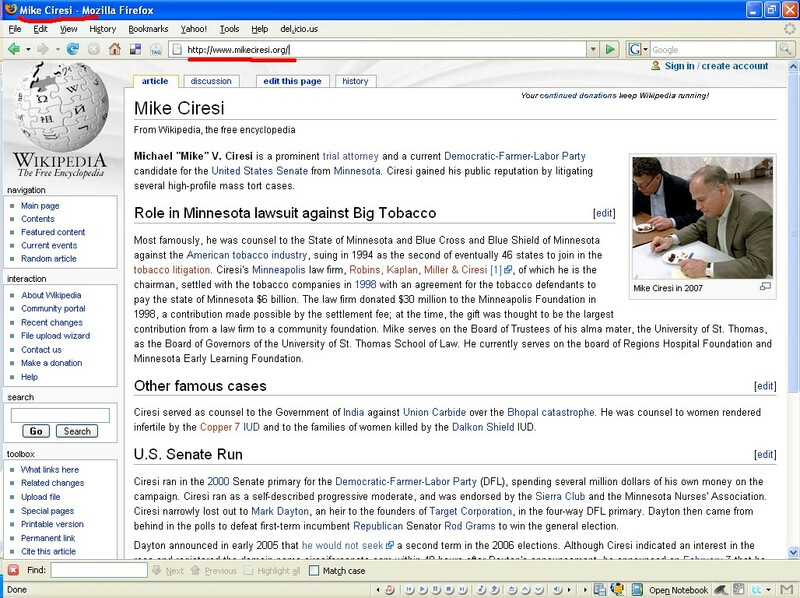 The ciresiforsenate.com domain name was purchased on February 11, 2005 by Ciresi’s State Director Kerry Greeley (Tim Walz‘ former campaign manager). Six months later the mikeciresi.org domain was purchased anonymously from a domain registrar in Germany on July 14, 2005. Greeley does not know who registered mikeciresi.org and no one has contacted the campaign about it. But why mask Ciresi’s Wikipedia entry? may be pointing it at Wikipedia to keep their powder dry, so to speak.